So, I set up my "default" app menu and I want to make it default, for all users. PS : On the correct menu, I can't get rid of the "No application found" on the lowest line, do you have any about why is it here and how I can remove it ? The default menu is located in /etc/xdg/menus/xfce-applications.menu. When you edit a menu, it creates a copy in your $HOME/.config/menus directory and edits that one. If you want your changes to take effect for everyone, you'll need to copy your edited menu to /etc/xdg/menus (and make sure no-one is using a custom menu). Also, depending on what changes you made to the menu, you may need to copy over some other files. You will have to post your $HOME/.confg/menus/xfce-applications.menu file so that we can have a look and see. All right, after mixing everything i succeed to have a default menu working for everybody. I put my files on /etc/xdg/xfce4 so they are now the default files for new users. But I have a new problem, with the panels this time. I will post it here but maybe I should open a new thread ? I customize a panel, add few launchers. First I try to copy my ~/.config/xfce4 files to every new users by using a script I put in /etc/profile, but it seems only to work when the user login by a terminal, and not a X session. Except this issue, it worked. Then I moved the file to /etc/xdg/xfce4 so they will be loaded as default xfce session for new users. But now I have a big issue : the panel looks great, but all the launchers are 'empty'. 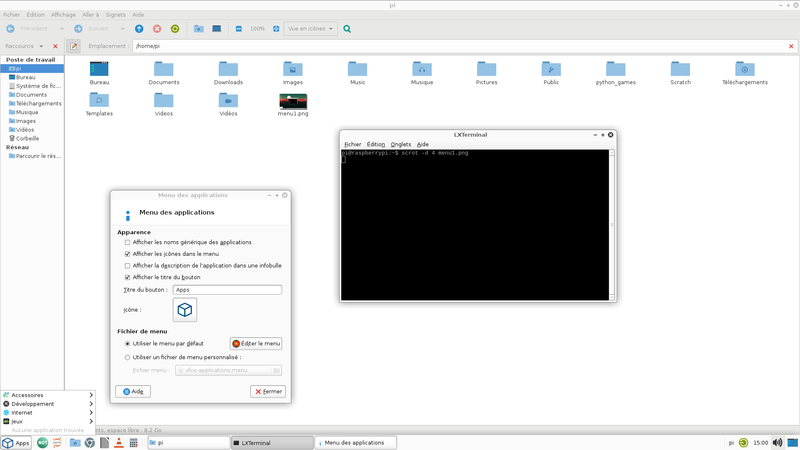 I tried few things and I figured out that the file used to configure the launchers is .config/xfce4/xfconf/xfce-perchannel-xml/xfce4-panel.xml but the behaviour is pretty disturbing : when I update my panel (by adding a launcher), this file is updated with the new launcher, but when I manually edit this file (by replacing it with an older version), the launcher is still visible on my panel (even after a logout/login). It will save and restore the whole configuration - including the actual launchers. Plus, you can script this - though it does need to run under the profile of the user to set up. 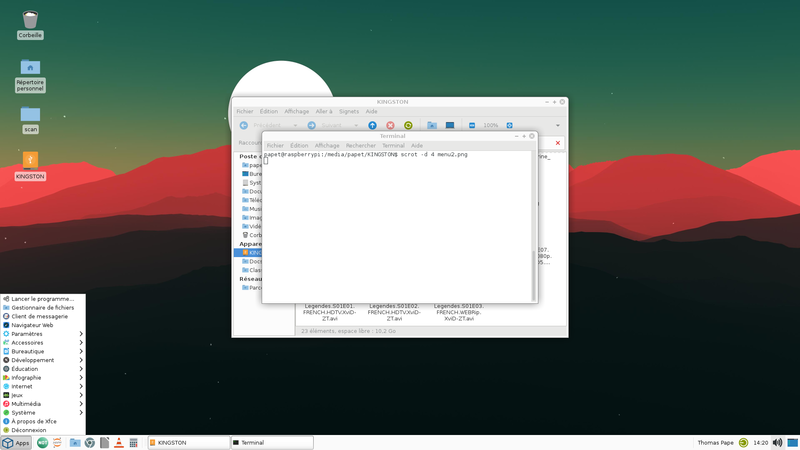 It's not xfce4-panel, but rather xfce4-panel-profiles (a different package). This package used to be known as xfpanel-switch, but was recently merged into the Xfce repositories and renamed. Which distro are you using? Do you have xfce4-panel-profiles or xfpanel-switch in your repositories? For more info, see: https://bluesabre.org/2018/07/28/xfce4- … -released/. I'm using Raspbian (Debian for ARM architecture), but I can't find any of this packages on my repo. I'll look for it deeper.